Advanced 2-layer breathable GORE-TEX® fabric, 100% Polyester 223 g/m², ePTFE membrane, with sealed seams and mesh lining for 100% waterproof and windproof protection. as the heart and lungs. 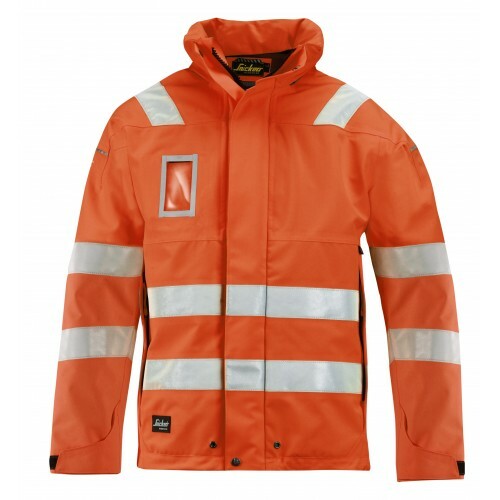 Wind and rain put extra tough demands on your workwear. When hard at work you want to stay warm and dry – without sweating. For long rainy days, the cutting-edge performance of our new advanced GORE-TEX® garments is the obvious choice. 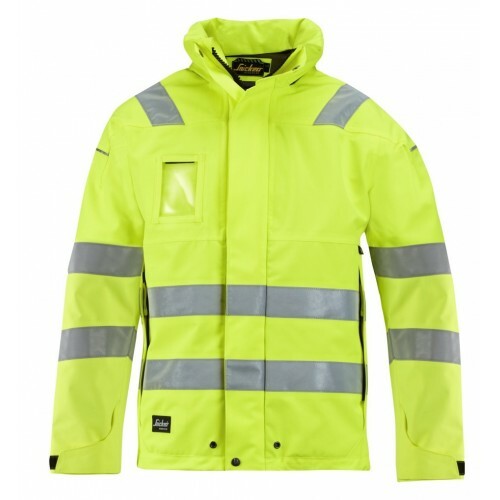 It’s 100% waterproof, windproof and offers outstanding breathability for hours on end. For shorter shifts in rainy weather, our advanced all-weather garments in 2-layer A.P.S.™ fabric will keep you covered. For relatively still-standing jobs, ventilation is not as crucial. Here our PU garments, giving you superior waterproof technology, are ideal. For extreme performance, try our new advanced XTR GORE-TEX® Shell Jacket. Allowing you to fight back the elements and stay dry, warm and ventilated with amazing working comfort, all day long. Count on superior weather protection combined with outstanding functionality and durability. And forget all you know about advanced GORE-TEX® sportswear. Because GORE-TEX® workwear has to withstand far more demanding tests. Harder water pressure, tougher laundry cycles and not least much tougher requirements when it comes to functional design, waterproof seams and long-lasting durability. Like our new XTR GORE-TEX® Jacket – guaranteed to keep you at the forefront.